How we do business has changed enormously in the last twenty years. In fact, there are more of us setting up businesses than ever before. This is thanks, in part, to the rapid development of technologies that allow us to connect with customers and suppliers quickly and easily. We can work from anywhere at any time of the night or day. And we can provide goods and services without having to be there in person. The humble smartphone is now an everyday essential in our lives. It’s no longer a portable telephone. Now it’s an encyclopedia in your pocket, a way to check your baby is asleep on the baby monitor, and the tool of choice for getting the latest news. It seems we can do absolutely anything from this one small, pocket-sized device. But can you really run your entire business from it? Apple famously said “there’s an app for that” and it would seem there really is. Your smartphone is everything you need for a completely mobile and always-with-you office. Take calls, check emails, create and send invoices, manage your bank accounts, buy stock, and set up an online store. There is even a way to send fax to email with faxburner.com so you can carry all of your company documents with you at all times. There isn’t even a need for expandable memory on your phone. Simply use the cloud. All of your administrative tasks and creative activities can be completed on the phone. You have a camera, an image editor, a web browser, and thousands of apps to create anything you like online. Create, manage, and track online marketing campaigns. Develop a social media presence and automate your posts. Compose your own jingle for a YouTube channel, and live stream podcasts or vlogs. Whatever line of work you do, you can manage your entire business from your phone. The only question now is, do you have time to do all that yourself? You might choose to recruit dozens of other people with smartphones (there are about 2.5 billion people to choose from) to tackle each of these tasks. As freelancers, they cost your business nothing in taxes, insurance or benefits. You never have to meet them in person if you don’t want to. They don’t even have to live in the same country as you! We’re all connected. You can work collaboratively on documents and presentations in the cloud as well. Are there any downsides to operating your business from a smartphone? The screen might be a little small if you’re staring at it all day. And while predictive text suggestions are very handy, sometimes a QWERTY keyboard just gets it done a lot quicker. At the moment, many websites and online apps provide a mobile version of the service. This is often a watered-down version, with limited functionality. Of course, if you don’t need much in your line of work, then this might not matter. 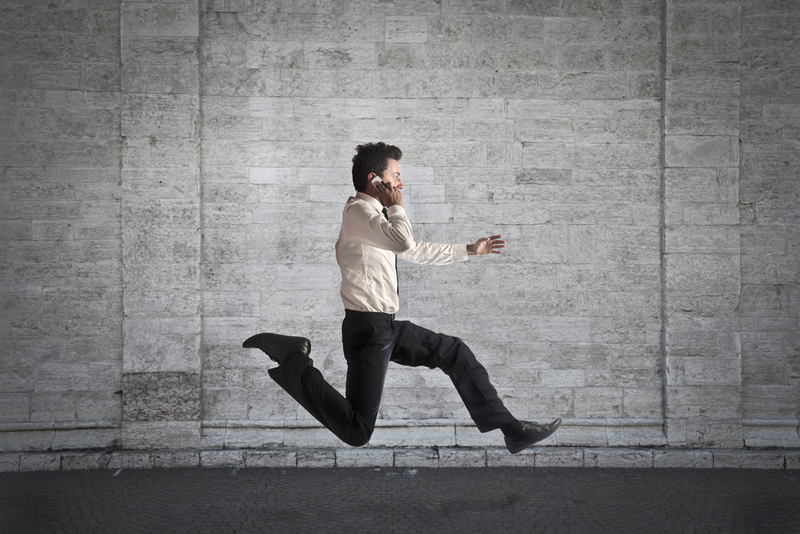 Can you really run your business from your pocket? It might not be as easy or comfortable as an office set up with a computer, but it certainly seems a lot more convenient! Could you do it?